Commercial HEPA Filter Dust Collectors, Portable Industrial Particle Air Cleaners & Commercial HVAC Air Duct HEPA Air Purifiers for Industrial Shops, General Contractors, Warehouses, Construction Jobs, Wood Grinding and Indoor Metal Workstations, at the Best Online Sales Prices. Control and Remove Wood, Metal, Dust and other Toxic Airborne Indoor Particle Pollutants in Shops, Warehouses and Construction Job Sites, with the Best Industrial HEPA Air Cleaners. We offer Top-Rated Portable Indoor Commercial Workstation Dust Collector and Extractor Systems, as well as Industrial HVAC Air Duct HEPA Filter Air Purifiers for Home and Industrial Shops, General Contractors, Construction Jobs, Warehouse and other Commercial Spaces. Whether you own a home or industrial wood or metal working shop, warehouse, are general contractor or run a commercial construction job site airborne dust and other particle pollutants from grinding, drilling, sanding and working, when not properly removed with the best indoor shop HEPA filter air cleaner, will cause a variety of immediate respiratory problems as well as other long term health issues. Airborne dust and other particles can also cause damage to paint and other finishes that haven’t dried as well as other projects. Dust and other tiny particles from wood carving, ceramics, plastics, drywall, drill presses, laser cutters, roofing, new home and general construction and other machines go up into the air and are trapped by indoor insulation and accumulate. Even if the construction or other job site is not completely enclosed, the amount of airborne dust and toxic particles caused by industrial workstations, general construction and commercial shops, requires a portable commercial HEPA filter air purifier or fixed commercial HVAC air duct dust collector and extractor system, for you and your workers to work safely and for projects to not get damaged. This is why there are OSHA indoor air quality regulations to protect the health and wellbeing of industrial wood and metal workers, general contractors and all other commercial construction and warehouse workers. The best portable work station and industrial HVAC air duct dust collection air cleaner systems for wood and metal working, grinding, general contractors, construction and warehouses use commercial strength HEPA air filters to remove up to 99.99% of these toxic air born particle, ensuring you and your crew breather healthy, clean particle and dust free air. Portable warehouse, construction, contractor and work shop HEPA filter air purifiers and commercial air duct dust collector and extractor systems come in a variety of sizes, airflow rates, filtration efficiencies and prices. Depending on your needs, the type of new home or other construction jobs you do, whether you are general contractor or have commercial wood or metal working shop grinding and sanding, and the size of the space or warehouse determines what industrial portable dust collector and remover or commercial HVAC air duct HEPA air cleaner is best for your work station and job. The best commercial particle air cleaners for warehouses general contractors, roofing, new home and other construction jobs; wood and metal shops and other industrial work stations are bag dust removers that use powerful HEPA filters to remove 99% of all large, small, and extra fine toxic dust and particles down to 0.3 microns. Commercial portable HEPA filtration systems and industrial HVAC air duct air purifiers utilize cyclone and vortex dust collection systems to provide higher airflow to move large amounts of air and dust effectively. Cyclone or vortex commercial dust collector systems use a circular airflow to separate large and fine wood and other particles, dropping the heavy ones into a drum collector and sending the smaller particles through an industrial strength HEPA shop air filter. Vortex and Cyclone commercial HEAP air cleaner dust collection units allow for more effective filtration and removal over a wide range of particles sizes, high air flow rates, increased HEPA filter life and less maintenance that other types of work shop, construction, warehouse and general contractor air purifiers. Cyclone and vortex commercial shop, construction, contractor and warehouse air filters are available as source capture portable work station dust collectors, as well as fixed air duct HEPA air cleaners. Many home wood and metal grinding and sanding work stations, commercial construction jobs and industrial workshop owners buy a combination of vortex source capture dust collector near the work station, a central HVAC air duct HEPA purification system, as well general all portable air filter in the room, to maintain the best, safest air quality. This combination approach to indoor commercial dust removal, (utilizing source capture industrial dust collectors, central HVAC air duct commercial HEPA air filters and the best portable air cleaners) keeps the air of roofing, new home and other construction job sites, warehouse, home and industrial wood and metal grinding workshops and stations 99% particle-free and offers the best protection against injury and damage to finishes caused by airborne dust, wood, metal and other particle pollutants. When buying a commercial HEPA air cleaner dust collector for general contractors, commercial construction jobs, warehouse and shops it is important not to just focus on price. Buying the right commercial HVAC air duct air filter or portable industrial dust extractor and collector air purification system depends on what type and size of particles are present. How much dust there is, and how much air space there is in the shop, work station or construction job site. You need to find the number of clean air changes required by OSHA for your industry and buy an industrial HEPA air filtration and commercial dust collection system with output level you need to safety remove the types of toxic airborne particle pollutants you have and avoid hefty OSHA fines, even in home work stations and small metal and wood grinding workshops. Do not to make the mistake of buying any old cheap air purifier, or try to rig up some homemade dust collection system to try to deal with wood and other types of dust floating in the shop, workstation, roofing, new home or another construction job site. These methods don’t really work and can actually create more of a hazard. Even the best commercial HEPA vacuum cleaners and residential air purifiers, do not have the same type of industrial strength filters and can end up circulating toxic submicron particles more than removing them. Invest the safety and security of your general contractor, commercial construction, warehouse or other type of industrial shop and buy the proper HVAC air duct commercial HEPA air cleaner or a portable source capture industrial dust collection units, designed to properly control the toxic indoor airborne wood, metal and other particles found in your work station. Industrial HEAP air cleaner dust collection and removal systems are also tax-deductible and excellent insurance against air pollution related losses. 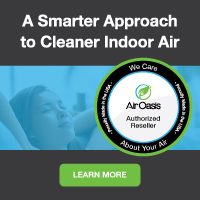 At Air Purifiers and Cleaners.com we are proud to offer top rated indoor commercial bag dust collector and removers, including the best portable industrial HEPA filtration systems and HVAC air duct commercial air cleaners. Whether you have a small home wood or metal grinding work station, an industrial shop, warehouse or construction job site we have the perfect dust collector & extractor system to help you safely remove and control large and fine toxic dust, wood, metal and other particles, at an affordable online sales price. We also make it easy and affordable for you to find and buy the best industrial dust collection HEPA air purification unit for you. We provide detailed product information and high resolution photos of each indoor commercial particle air filtration system we for sale. We even offer financing options. Being an online-based commercial HEPA air cleaners store, we do not have the overhead of traditional industrial air filter stores. These savings allow is to offer the best portable source capture commercial dust collectors and industrial HVAC air duct HEPA air purifiers, at cheap discount online sales prices. We make it easy for general contractors, home and industrial shop owners, warehouses and roofing, new home and other construction companies to find and buy the best portable commercial HEPA particle air filtration system or industrial HVAC air duct dust collector unit for your workstation, shop or job. We also offer Free Shipping to anywhere in the Continental US. If you have any questions or need any help finding the best portable commercial HEPA air filter or center HVAC industrial air duct dust collector air cleaner for your warehouse, shop, general contractor or roofing, new home or other construction company call use toll free at 1-800-701-2513 or send us an email and one of our air purification experts are standing by to help!